How Dolph Lundgren Almost Starred in a 90s ‘Venom’ Action Movie. 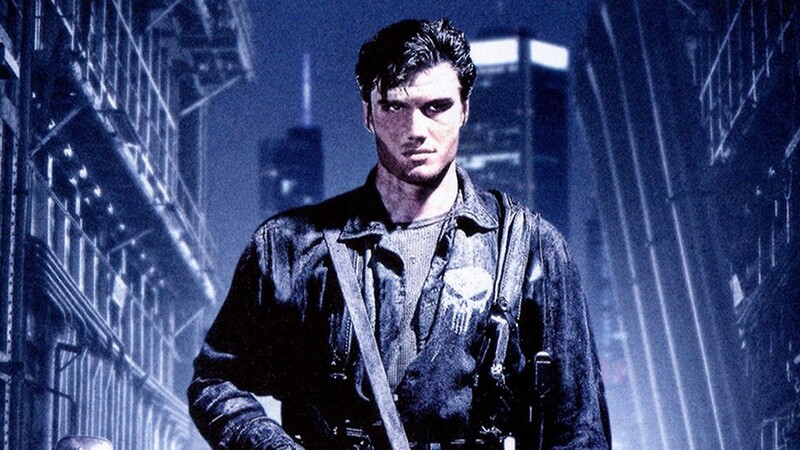 He might be more closely associated with another Marvel antihero in The Punisher, but at one point in time, Dolph Lundgren came dangerously close to playing Venom. Back in 1997, New Line Cinema had the rights to both Venom and Carnage and was planning to put the villainous characters together in a new movie. With the rights to Spider-Man residing elsewhere, however, they would have to do it without the world’s most famous web-slinger. According to Comicbook.com, David S. Goyer (who went on to pen the scripts for Blade, Batman Begins and Man of Steel) was hired to produce a draft script for a Venom movie. The script did away with any ties to Spider-Man, explaining that Venom’s spider insignia was down to the fact they had just come from a planet inhabited by giant spiders. It also saw Venom pitted as an anti-hero of sorts, going up against Carnage. 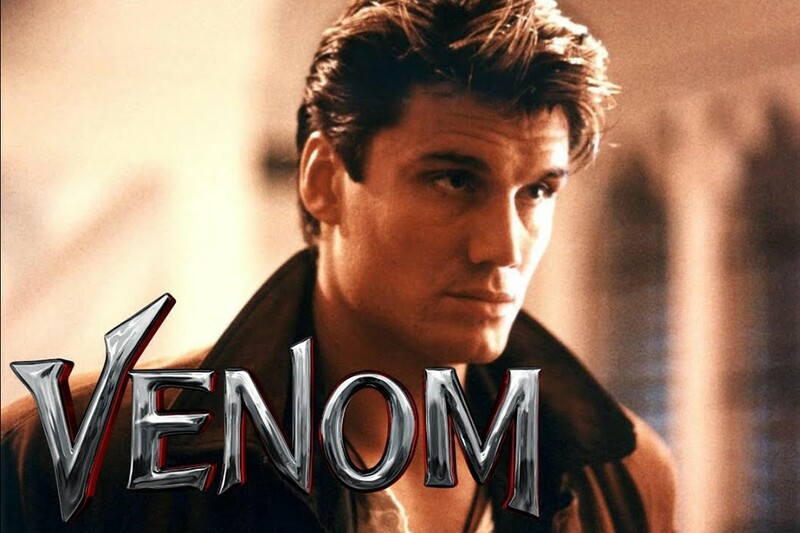 Though details of the defunct project are scarce, media reports at the time suggested Dolph Lundgren was in the frame to play Eddie Brock, the unfortunate journalist who ends up bonding with the alien symbiote Venom. 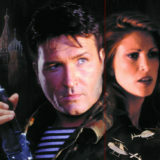 Lundgren would have just been coming off the back of the action thriller The Peacekeeper at the time but, according to Impact magazine [via www.dolph-ultimate.com] was “tipped for the lead” by industry insiders. The Swede had already starred in one Marvel movie, 1989’s The Punisher and may have had mixed feelings about taking on another comic book movie. 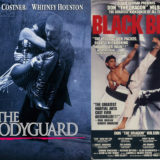 Made for just $11 million with a script that followed little of the Frank Castle folklore from the comics, The Punisher had been a critical and commercial flop upon release. Lundgren would have therefore been forgiven for approaching any potential plans for a Venom movie with a little trepidation. Ultimately, however, the project stalled for reasons unknown, while the rights to the character eventually reverted to Sony. 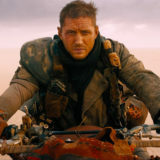 The idea of a Spider-Man-less Venom movie would eventually resurface, however, with Tom Hardy signing on to play Brock in a film that is now days away from the cinema. Lundgren fans, meanwhile, will have to make do with this fan-made Venom trailer, which borrows heavily from The Punisher but provides a wonderful glimpse at what could have been. 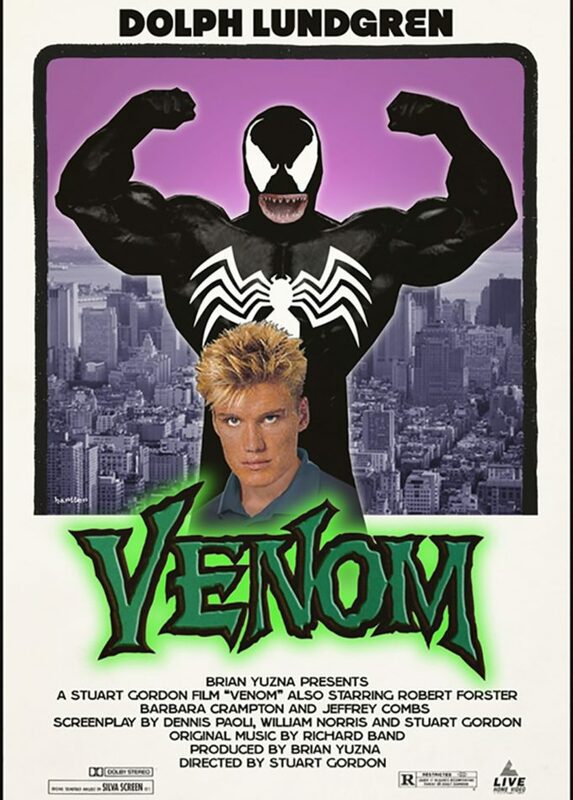 How do you think a Dolph Lundgren 90s action version of Venom would have turned out? Let us know in the comments or on our Facebook page!